We are an independent Registered Investment Advisor committed to providing unbiased, straightforward financial advice. We believe that most people want the ability to have a conversation about their investments without feeling like they’re being sold something. Based in Highland, IL - with clientele nationwide - we work closely with individuals, businesses and institutions, to develop, execute and maintain their investment and savings strategies. We act as a fiduciary to all clients, uniquely we have a legal responsibility to put the needs of our clients above our own in everything we do. We don’t sell any products nor earn commissions from our recommendations, The only way we earn more from a client is for their respective accounts to grow. Our professionals have over 50 years of experience in various areas of the financial industry. We manage a large pool of assets for a small number of households, which allows us to provide high level service to all of our clients. Our compensation is agreed to in writing, we have no back door arrangements and no hidden compensation. Our independence allows us to advise you free from conflict of interest and in turn you have access to some of the best research and most reputable investment firms in the country. We take a team approach to working with clients which often includes outside professionals. This brings together various areas of expertise in a cohesive manner. We work with our clients to simplify the retirement planning process. This typically involves an ongoing discussion including hypothetical future values and cash flows, as well as the impact various “what if” scenarios may have on plans to retire. We provide advice on savings and/or cash flow strategies to pay for current and future education costs. Collectively we have extensive knowledge regarding life insurance products. We have relationships with outside vendors who work with us to step our clients through designing and building life insurance strategies and provide the most cost effective solution. We work with you to create a charitable giving strategy that is not only aligned with your financial goals, but your mission and vision for your life and legacy. In addition to managing your investment accounts, often we provide guidance on outside accounts and 401(k)s that must remain with the current provider. We will review investment allocations to make sure they "fit" with your goals, both short and long-term. We continuously look for opportunities to reduce investment related tax exposure. We are not tax professionals nor do we give tax advice, however if necessary, we have relationships with a network of CPAs and tax professionals that we recommend. We partner with your legal team to simplify and assist with the estate planning process. Provide diversification by investing in a professionally managed “basket” of stocks and bonds. Unlike mutual funds, they trade in real-time rather than at the end of the trading day and often have lower expenses. Provide opportunities for higher current income in the form of dividends and the return of capital. MLPs allow you to invest in energy infrastructure such as oil & natural gas pipelines. With an emphasis on companies with strong fundamentals, stable earnings and a history of consistently growing dividends. These features generally enable dividend growers to withstand repeated market turmoil and deliver strong returns over the long haul. Government entities, municipalities and corporations issue bonds to raise money to finance new projects, maintain operations or refinance existing debts. The borrower (issuer) issues a bond that include the terms of the loan, interest payments that will be made and the time at which the principal amount must be paid back to the investor. Investors are interested in bonds for the following reasons: diversification, regular income, potential tax benefits and capital preservation. Brokered CDs can purchased, often with higher interest rates than your local bank CDs, providing the safety of FDIC insurance to the standard limits. They make it easy to ladder CDs, which is investing in several CDs with staggered maturities, to maximize yield and liquidity. Seeks to generate current income while maintaining liquidity. Professionally and actively managed, they invest in high-quality short term money market investment issued by the US and foreign issuers. They are a nice alternative for excess cash with the idea of having access to the funds quickly. We provide consulting, planning, and investment management services to businesses both small and large. A simplified employee pension (SEP) is a retirement plan that an employer or self-employed individuals can establish. The employer is allowed a tax deduction for contributions made to the SEP plan and makes contributions to each eligible employee's SEP IRA on a discretionary basis. A 401(k) plan is a qualified employer-sponsored retirement plan that eligible employees may make salary-deferral contributions to on a post-tax and/or pretax basis. A SIMPLE IRA is a retirement plan that may be established by employers, including self-employed individuals (sole proprietorships and partnerships), for the benefit of their employees. The acronym stands for "Savings Incentive Match Plan for Employees." And IRA is, of course, "Individual Retirement Account." A profit-sharing plan, also known as a deferred profit-sharing plan or DPSP, is a plan that gives employees a share in the profits of a company. Under this plan, an employee receives a percentage of a company's profits based on its quarterly or annual earnings. Matt is the president and founder of Powers Advisory Group. 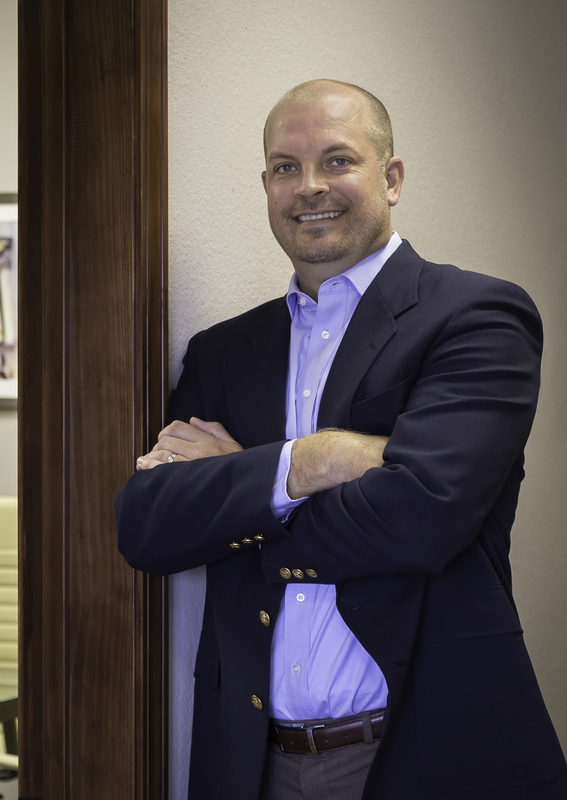 Matt made the choice to transition his practice to full independence so that he could bring an institutional style of investment management to his local clientele as well as provide advice on an objective basis free from conflict of interest. He established the firm after more than a decade of experience as a financial advisor for some of the largest investment firms in the industry - including Smith Barney-Citigroup, Edward Jones, and NFP Securities. Most recently, Matt worked over 5 years with Mark Deschaine, where he refined his overall approach to providing investment advice. Matt holds a Bachelor of Science in Business from Eastern Illinois University. He is actively involved in his local community, serving as a board member for Highland School District Foundation, Highland Business Education Alliance, and is currently the chairman of the Highland Optimist Basketball Shootout, and was the 2011 General Chairman of the St. Paul Kirchenfest. Matt and his wife Cathy reside in Highland, IL along with their four children. Rick joined Powers Advisory Group in 2017 and has over 17 years of experience in the financial industry. Most recently he was a Vice President of Commercial Banking at Commerce Bank in Belleville, IL. Prior to this, Rick held positions in various roles with Stifel Nicolaus, Regions Bank and Wells Fargo. He previously held his Series 7 and 66 while working for Stifel Nicolaus and has held various insurance licenses over the years. 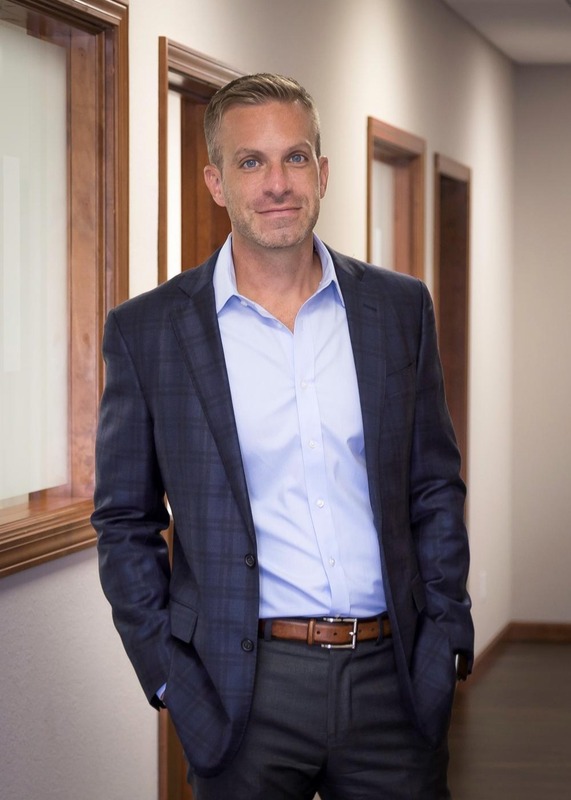 Rick earned a Bachelor of Science in Economics and Finance from McKendree University and a Masters of Business Administration from St. Louis University. He is actively involved in his local community, serving as a Highland Police Commissioner, Co-Chairman of the Highland Optimist Shootout and coaching youth sports. Previously, he served as the President of the Highland Chamber of Commerce, a board member for the St. Paul Educational Foundation and was active in the Highland Entrepreneurial Program. Rick and his wife Mandy reside in Highland, IL along with with their three children, Addison, Noah and Elliott. Melissa is the Director of Operations for Powers Advisory Group. She is instrumental in the coordination, planning and organization of all operational functions within the firm. Melissa’s nearly 20 years of financial industry experience is a perfect complement to Powers Advisory Group’s existing strengths. Her knowledge of estate and financial planning, accounting, tax practices, and life insurance are extremely valuable to the firm as well as their clients. 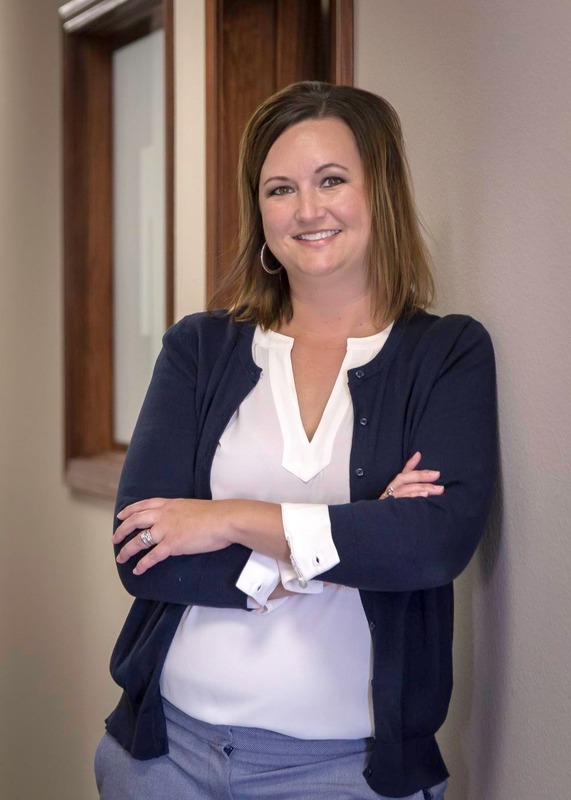 Prior to joining the firm, Melissa was a portfolio design analyst for a local NFP Securities firm, and served as a senior accountant at Scheffel & Company, a Certified Public Accounting firm in Illinois. Melissa holds a Bachelor of Science in Accounting from Southern Illinois University - Edwardsville. Melissa spent her childhood in Highland and still lives there today with her husband Aaron and their children, Walker and Wade. Melissa is very active in her local community. She and her husband are well known for volunteering to coach many of the youth sports in the community and also volunteers her time at her children's school. Melissa is a mentor of the Young Women's Breast Cancer Program peer support group of Siteman Cancer Center and proud supporter of the local Relay For Life. Most “financial advisors” are not required to do what’s in your best interest. Powers Advisory Group is a fiduciary, which means we are legally bound to make decisions in your best interest at all times with every decision we make. ARE THERE ANY FEES FOR AN INITIAL MEETING? We always offer a casual introductory meeting to get to know you and learn about your goals. You are able to ask questions and get a better understanding of our firm and how we work with clients before you make any type of decision. Our office is located just outside of St. Louis in Highland, IL however we have clients throughout the country. We’re happy to come to you or host a virtual / phone meeting if need be. We communicate in various ways from face-to-face meetings, phone discussions, and email correspondence based on your personal preferences. We provide periodic market commentary and interesting investment and financial planning articles via email and our website. We employ a team approach and have a legal responsibility to act as a fiduciary to all clients. Our fee-only structure differentiates us from the typical brokerage firm and puts us on the same side of the table as our clients. It means the only way Powers Advisory Group is compensated is through a fee that we negotiate with you ahead of time. No commission, no third-party payments, 100% independent. This puts us on the same side of the table as our clients. We typically have a new client account minimum of $50,000. This is to be sure we’re able to provide the proper level of service to all clients. Where do you get your investment research? As an independent firm, we can obtain our market research from any number of sources. We selected to partner with industry leaders - Morningstar and Charles Schwab, for our primary research information. We review your investment holdings globally on a on-going basis and will periodically re-balance your accounts throughout the year to maintain your established asset allocation in accordance to your risk profile. We utilize innovative financial planning software to help provide a vision for what retirement looks like and guide you through the decision-making process on the best time to retire factoring in lifestyle, expected sources of retirement income, longevity, etc.